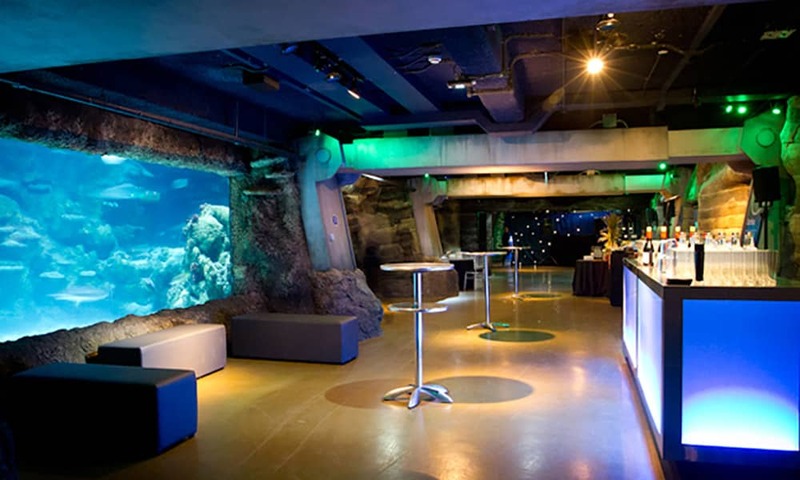 Join us for a Great White Christmas at the Sea Life London Aquarium. 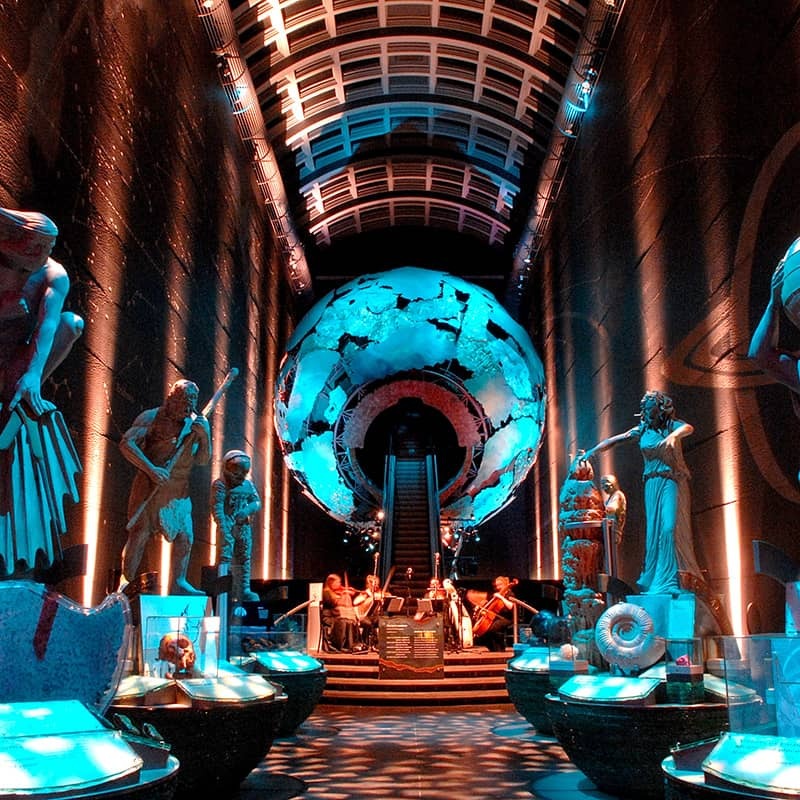 With one of Europe's largest displays of marine life, our fantastic Christmas party is truly unique, offering a spectacular backdrop in a tranquil underwater sanctuary in the heart of the Capital. 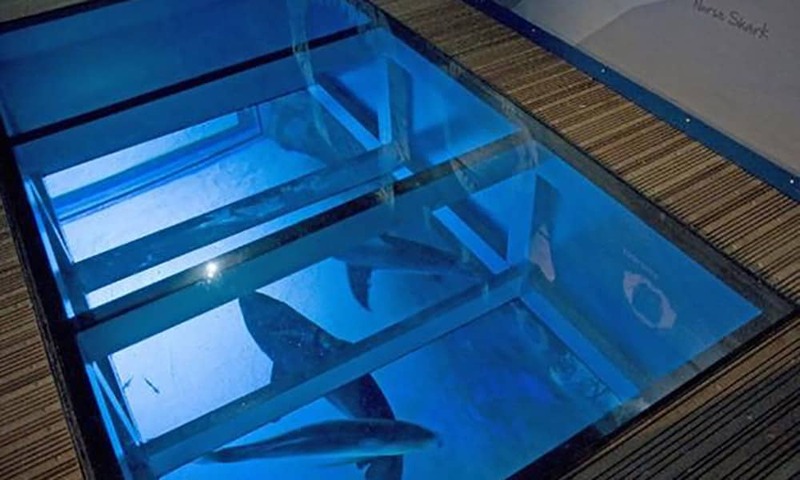 Your underwater extravaganza begins with the nail-biting Shark Walk, with guests able to walk across the shark tank and watch these impressive creatures circling below. Interact with our fearless divers who will be swimming with the sharks and can take guests instructions shown to them on cards which they'll carry out right in front of you. 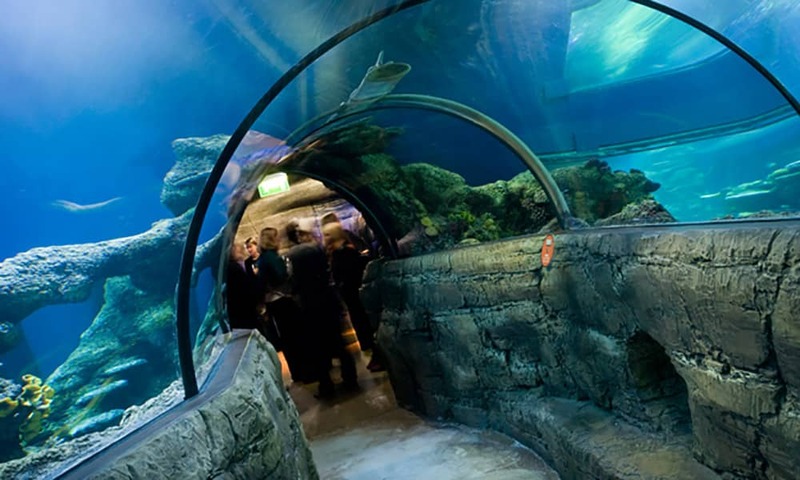 Once dinner is called, guests make their way through the stunning glass ‘Ocean Tunnel’, admiring incredible displays of colourful fish, sparkling coral and majestic turtles. 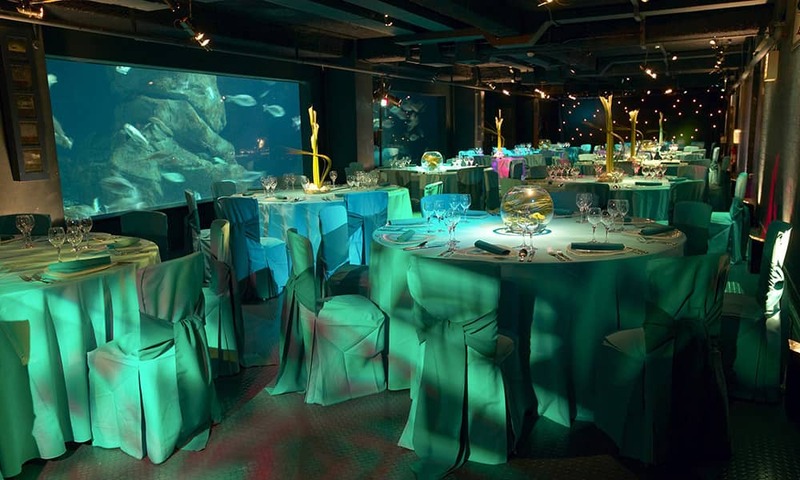 Dinner is served in the main party space - ‘Atlantic Cove’ - against an ever-changing display of shoaling fish and sharks, offering the perfect backdrop to your magical Christmas party experience. Once dinner is over, take the plunge as our DJ plays music guaranteed to make waves on the dance floor. 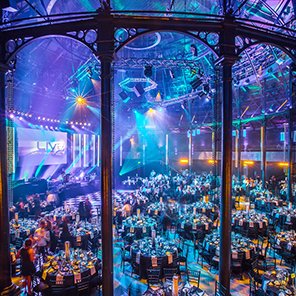 Ideally located on the South Bank, next to the London Eye and only a short distance from the Houses of Parliament, this unique shared party venue offers private tables of 10 and holds up to 200 guests. We have the option for one private dining group of 30-40 guests. 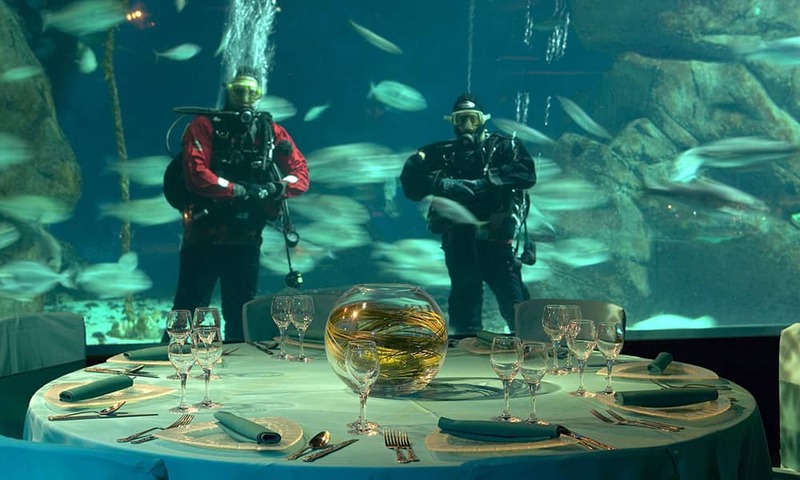 After the drinks reception in ‘Pacific Wreck’, you will be escorted to your private dining area where your group will enjoy all the inclusions of the shared party package. After dinner you can access the dance floor easily and join the other party guests. 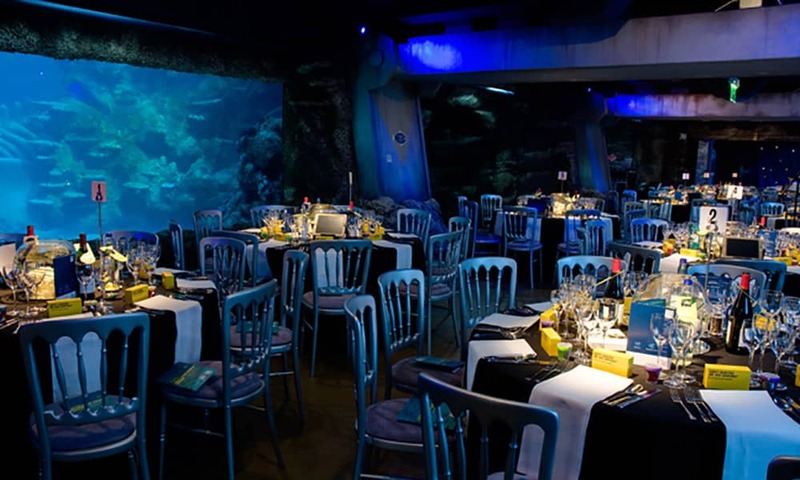 Where's the Christmas Party at London Aquarium? Black tie or smart dress essential, jeans and trainers will not be accepted. Please contact the office on 08450 251 251 for more information. WHAT'S INCLUDED IN THE SHARED PARTY?